In the wake of protests involving several highly publicized cases alleging police brutality, and the lack of indictment for the police officers who killed two unarmed black men, several athletes have made political statements of their own. 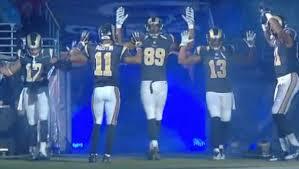 In response to the grand jury’s decision not to indict the police officer responsible for the death of Ferguson resident Mike Brown, some St. Louis Rams players entered their stadium with their hands raised up for what they later said was support for the Ferguson community. As is to be expected, there was immediate backlash to their actions not the least of which came from the St. Louis police department. 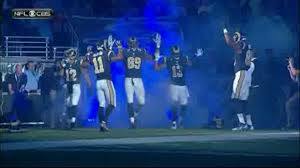 Businesses in and around the St. Louis area stated they would no longer support the Rams or their players. 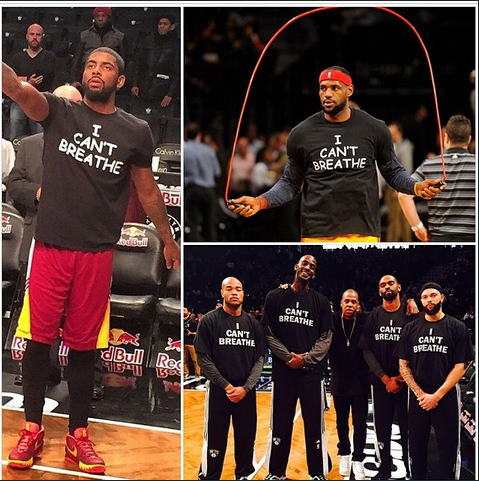 More recently, other athletes have worn “I Can’t Breathe” tee shirts in support of Eric Garner and his family, another unarmed black male who died when a police officer used an illegal choke-hold on him. The responses by various police departments to the protest were to condemn the actions as anti-police and to ask the various sports leagues to step in and punish the players. There were varying opinions to these movements through social media. Talk shows were ablaze with commentary from both sides. In response to the Rams players, the NFL simply stated no punishment would take place. He made it clear the players were expressing their own personal views and not the league’s, but left open the possibility for later measures subject of course to rules already in place. In truth, this is a slippery slope for Commissioners of the various sports leagues. Player activism and supporting political causes has been relatively rare throughout history. There was of course the golden age of activism arising out of the protest movements of the 1960s and 1970s but nothing yet has reached that level although the current push for LGBT rights and marriage equality might come close. I believe in activism. I love that athletes are speaking out on issues that are close to them. I hope it continues. Yet I understand why it might make these Commissioners nervous. A movement isn’t a movement without two sides. In some cases many sides. Political speech can be defined to incorporate a wide variety of social causes. Where do the Commissioners draw the line? The NFL was quick to clamp down on dissent toward support of LGBT rights. I believe it was right to do so. Yet, is that not inconsistent with allowing players to express their personal opinion about social issues? What happens if and when a professional athlete shows up in support of police officers? What happens then? You would be foolish to think there aren’t any other there who believe the grand juries made the right call in the two referenced cases. Having allowed support for one side of the issue can these leagues stifle speech to which a large portion of its employees might disagree? If you believe athletes have a right to voice their opinion you have to let that climate flourish even where there is speech to which you might disagree. I don’t have any answers here but I certainly have a lot of questions. I’m not about stifling speech at all. I just wonder what happens when the inevitable occurs and these leagues get confronted with an unpopular opinion or better yet an unsavory one masquerading under the guise of political speech.